game in the Alaskan wilderness. A film about LARPing. I'll be honest when I write that before actually watching "Detective Detective Detective", I was more than a little skeptical. I did however, see the humor of it all. A fiction about a fiction, at least there was that. Right? As I began watching the movie a funny thing happened. It was over... and it was good. Somewhere between the initial scene and the final one, I had lost track of time and was simply engulfed in the world Justin and Michael Ian Edwards had laid out before me. "Detective Detective Detective" is actually a really damn good film! Sure, the initial premise, for me, didn't hold much promise. But this film is more than that. At heart it's a movie about family and relationships. The constant march of time and how easy it is to become a stranger. All wrapped together with a trio of brothers, role playing as detectives. The simple reality is that this really was a great way to wraparound a more dramatic story. An excellent idea. Period. Technically, "Detective Detective Detective" is nothing really fancy. It does get the job done however, and finishes with a touch of pride and polish. The camera work consists of a lot of hand-held styled shots, but done well, not to the point you'll get dizzy. "Detective Detective Detective" also seemingly relies on a lot of natural light for a good portion of the film. Again however, it was done rather well. Not a lot of "Racoon eyes" present themselves during the nearly hour and a half run-time. Overall... nice job. The audio is crisp and clear and everything is held together with a competent edit. Realistically, the post work here is all pretty well done, helping drive the narrative forward with a good steady pacing. 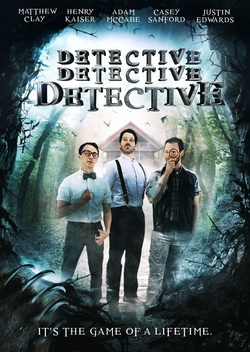 The acting featured in "Detective Detective Detective" is some of the best I've seen when it comes to indie productions. I'm not saying we have any Oscar contenders here, but the cast have chemistry... and it shows. I may be totally off center when I write this, but it feels as if everyone had a great time filming. In turn, things feel more relaxed and natural. The end result is movie that zips by at lightning speed. You'll be sorry it's over. Nothing feels laggy or drawn out; things seem to fit just right. As I started this write-up, remarking on how boring a film about LARPing seemed, that's not the case here at all. Maybe it's because this really "isn't" a film about role playing. Although it feels that way at the start. 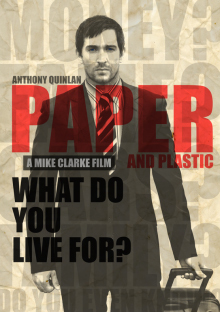 Things quickly change around and this really becomes a film about people. For me, it made me think of my own personal life, and the fact I'm not as close and connected to family as at first I may think. Sure, we have "online", but that's really not the same. Throw in a little comedy, although not as much as I had originally thought, and you've got a winning premise turned into a great film. Without any spoilers... I just want to add that one of my favorite comedic parts... was a nice little dance at the end. What a way to end a movie!